We have some scoreboards over 20 years old which are still in use and we aim to support installed products for at least 10 years. All of our equipment is thoroughly tested so that we can be confident of a first class performance. In the unlikely event of a problem (we very rarely go back to a site after installation) our new scoreboards come with a full year’s onsite parts and labour warranty. This is followed by a further one or two year’s parts only warranty. 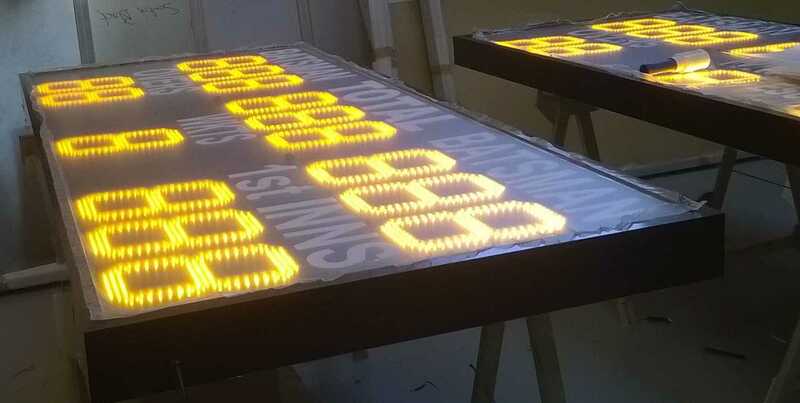 We are also able to service, repair and rescue other manufacturer’s scoreboards even after they have declared them obsolete and we have solutions to extend the life of various manufacturers e.g. ETS (Daktronics), Digitext, Visionworx (Inview) and UK Scoreboards. Contact us to find out if we can repair your scoreboard.